on January 26, 2013 Comments Off on Luca Massini’s LAMH image again “Picture of the day” at eon! I’m glad to see that another awesome composition done by Luca Massini using LAMH to fur models has made it as the “Picture of the day” at eon. Cretaceous Madagascar: two masiakasaurus fishing while a giant madtsoia snake is looking for his appetizer. 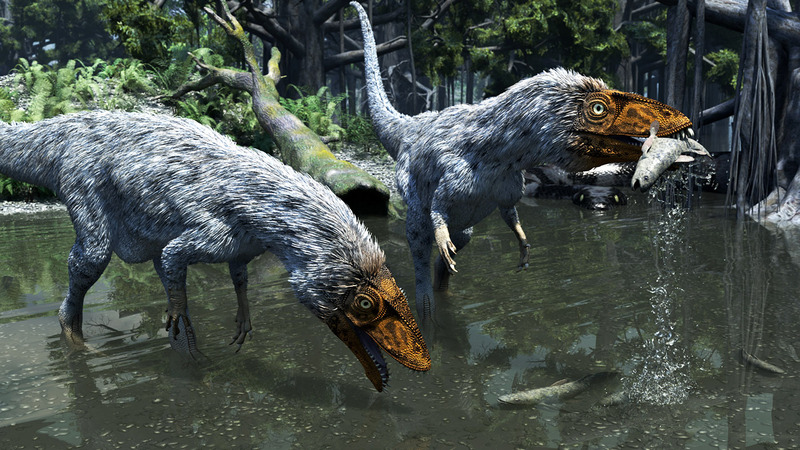 Raul Lunia dinos models, feathers done with LAMH plugin, Vue Complete solid workhorse! Previous: Luca did it again!